4391/18K arrived. Can't wait to dig in! Just another stellar '76 Good Old Grateful Dead show. To revisit again and again and again and again and always find something new and wonderful to smile about and enjoy every time. Last edited by libertycaps on Fri Nov 16, 2018 5:34 am, edited 1 time in total. For a total Dead neophyte what is a good place to start digging in? I'm always told the obvious ones, American Beauty or Workingman's, but what's a little off the beaten path that you'd recommend? Ask another fan and you'll get a completely different answer. I'm not gonna recommend Dave's Pick 1 Mosque '77 cuz it routinely goes for $500 on ebay now. Enjoy. The older i get, the more this music seems to "click." It's inevitable. Thanks! Yeah - I figure given the rest of my record collection, it's a weird gap...will check some of these out! You bet. If you are wanting the original LPs, all are available in the used bins with an extra bit of hunting and deadication! If you find clean 'n green label WB pressings....Grab 'em. Vol. 29 is gonna be 02-26-77. A masterfully played, well rehearsed & high energy show back to front. The first show of 1977 just off the Terrapin Station recording sessions. Last edited by libertycaps on Thu Dec 20, 2018 11:28 pm, edited 1 time in total. Remember all the hell i caught diggin' the Grateful Dead on SR.com circa 2000/01/02? I sure do. Glad that's over. Last edited by libertycaps on Fri Apr 05, 2019 12:51 am, edited 1 time in total. Digging into Europe '72 and liking it a lot...obviously not a one and done kind of listen so need to delve in further. 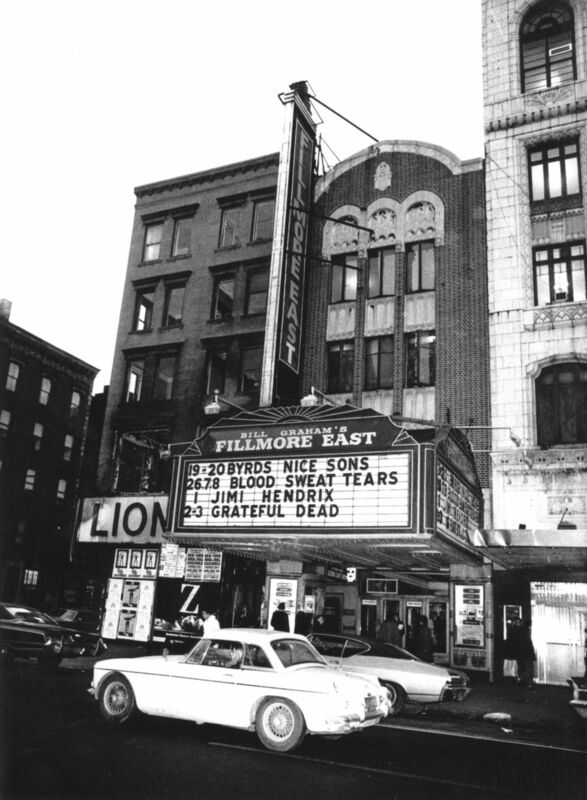 01/02 & 03/70 Fillmore East; New York City, NY. The day after the incredible Band of Gypsys NYE show. 5 hours on 4 remastered HDCDs of lysergic 'n primal DEAD? Count me in! 20K copies SOLD OUT in 4-6 hours. Looking forward to mine arriving prolly Fri/Sat next week. A stunning and energetic opening salvo of a show for the much hailed GoGD year of 1977.